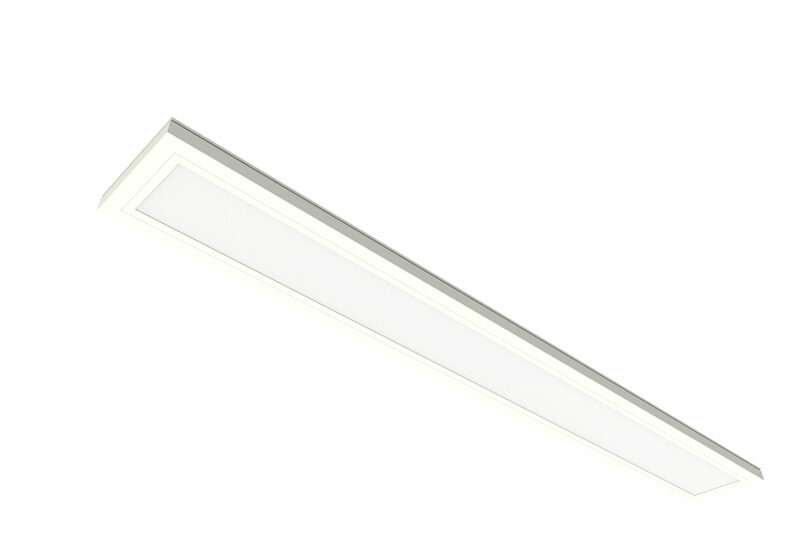 The Feit Electric FP0.5X4/4WY/WH 4 ft. rectangular LED Flat panel fixture with selectable color temperatures provides added function and beauty to any residential or commercial area . Use the switch on the back of the fixture to toggle once for warm white, twice for bright white and three times for daylight. A frosted polycarbonate lens and white aluminum frame upgrade the look and feel of interior spaces. These ceiling fixtures / wall sconces are energy efficient, producing an even light distribution of 1750-1900 lumens of reliable Energy Star certified lighting.